At Little Treads we understand it can be difficult buying children’s shoes online comes with challenges, sometimes what you received is not as expected, or you need a different shoe size. We would like to reassure you that we have a hassle-free return and exchange policy. To be eligible for a refund or exchange, the shoes must be returned unworn, undamaged and in resalable condition (in their original intact box/packaging) within 30 days of delivery. Before the shoes are worn outside, try them out on a clean surface to ensure they fit securely around the ankle without slippage, and there is a thumb width of room at the front of their big toe for growing. If the shoes are the incorrect size or you have a change of mind, then you are more than welcome to a refund (for full priced items) or store credit (sale and clearance items). Return shipping costs are the customers responsibility, and it is strongly suggested that tracked postage is used. If Little Treads has not physically received your return, we cannot process the refund, store credit or exchange. Little Treads reserves the right to refuse your return if the above conditions are not fully adhered to. Refunds are available for returned shoes that are full price. Items purchased on a temporary promotion (that return to full price) are also eligible. A refund will be provided to the cost of the shoes (postage is non-refundable) to the original method of payment. If your chosen method of payment was Afterpay, any payments made for that item will be refunded and upcoming payments will be cancelled. 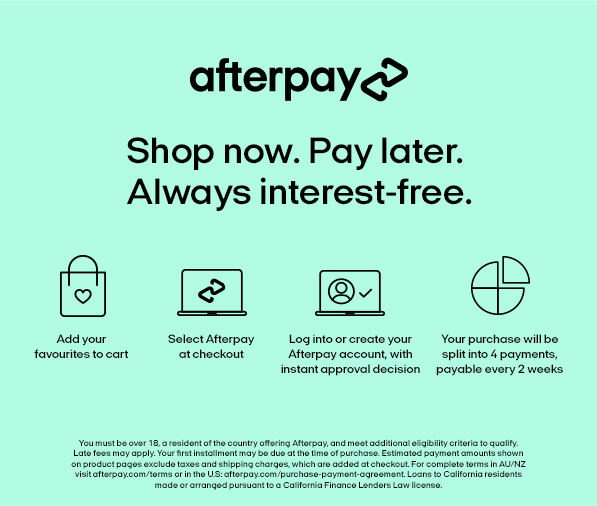 If it is a partial return on an Afterpay order, your total will be amended to reflect this and your repayments will be adjusted accordingly. Shoes must be returned within 30 days of delivery. Refunds will be processed within two weeks of the return. If you have returned a sale item, you will receive an email with instructions on how to redeem your store credit. Store credits expire 12 months from their creation date. All Sale and Clearance Stock are non-refundable and returned stock will be issued with a store credit. Exchanges are available for returned shoes granted the requested exchange item is in stock. Please call us (07 3279 7978) or email (customerservice@littletreads.com.au) to check that stock is available, otherwise a refund/store credit will be issued. Exchange stock will only be sent once the returned shoes have been received and inspected. All Sale Stock being exchanged require postage to be paid by the purchaser. Clearance Stock is not eligible for Exchange. Exchange postage can be purchased here with Regular exchange postage costing $7.95 and Express exchange postage costing $12.95. If the items you have received are defective, these items will be replaced with the same size and style, and the cost of shipping the faulty products back to Little Treads will be covered. If you believe there has been an error with your order, please contact us immediately to remedy the situation. If we agree that an error has occurred, the cost of shipping the product back to Little Treads will be covered. Special Promotions occur over a short period of time whereby a full priced item may be discounted and then return to full price. If a product is purchased on sale during a special promotions period, and the price has since returned back to full price, then this product is eligible for a refund IF it is received back in store within our 30 day returns period. Having trouble with sizing? You can find our sizing information here otherwise feel free to call us on 07 3279 7978 or email customerservice@littletreads.com.au and we will answer your questions.